I’m a photographer who specialises in photographing weddings! And I cannot believe that 2016 was my 10th year as a wedding photographer! I’ve won some wedding photography awards & you can find those in the Review section of the website. I’m married to Sarah, who happens to be an awesome baker – Black Sheep Bakery is her business! Who photographed my wedding you ask? My friend Elliot is a phenomenal wedding photographer who captured our day…I then repaid the favour & photographed his wedding day! I love surfing…if you live in a north-west seaside village in Ireland it makes sense to surf! 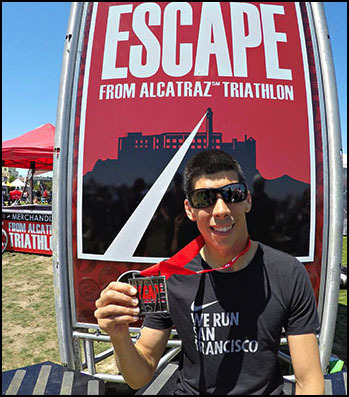 I used to do triathlons…but gave them up only to comeback in 2015 for my ultimate goal, the Escape from Alcatraz tri in San Francisco! Now that’s done, I’m retired again! I love hiking usually further afield in the national parks of the USA. I’ve shot more than 350 weddings (wow!) but it’s the next one, Your Wedding, that keeps me motivated & super excited to keep on photographing!